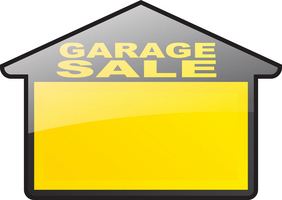 It’s that time of year again when IronOaks – also known as Ironwood and Oakwood Country Clubs in Sun Lakes Arizona – have their community garage sale. One man’s trash is another man’s treasure they say. So don’t miss out on some fun visiting with friends and neighbors and perusing the “deals”. You’ll find everything from bicycles to furniture to books to kitchen gadgets. Last year I found just the perfect pool chair and it cost me $3.00! And my husband found a golf club – a driver still in it’s factory plastic wrapping and for a great price. Saturday March 2nd from 8:00 am to 2:00 pm and come early for the best deals! A list of participants can be found at the Oakwood Clubhouse and the gates are open to the public during the sale. Come one come all and enjoy the IronOaks Community Garage Sale – the best tip of the day – arrive in your golf cart – it’s easier to park in small places! See you on Saturday. The Kolb Team will be out and we can’t wait to see what treasures exist this year!